At Sports Challenge, we apply the rigor of sports training to the practice of leadership. Each year we bring together student-athletes from high schools around the country and help them become character leaders on and off the field. 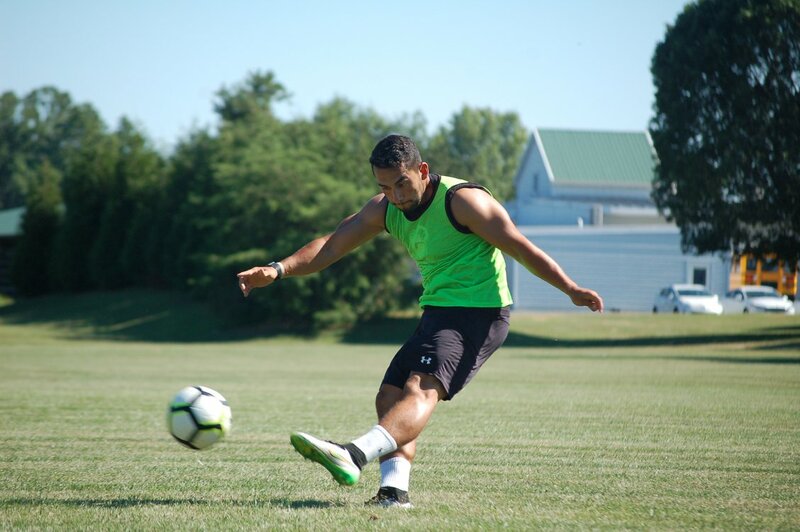 For nine days, (June 27th-July 5th, 2019) these athletes live together and play competitive-level soccer (boys and girls) and basketball (boys and girls). Immersed in a growth-mindset culture, they debate, compete, develop new skills, celebrate achievements, share meals and personal experiences, embrace and question new concepts — and, of course, sweat! We cap Sports Challenge at 100 student-athletes and offer a unique 1-5 coach-athlete ratio, as well as a mentor for each student. Coaches are leaders from high school and college athletic programs around the country, and their dynamic engagement is key to Sports Challenge’s differentiating experience. I’m bringing back ‘brush it off’ and the positive energy of [Sports Challenge]. Research tells us that the most effective leaders possess six core competencies: self-awareness, grit, teamwork, empathy, self-efficacy, and gratitude. The Sports Challenge curriculum is focused on developing these competencies in student-athletes, using the Strive curriculum model as a framework, on and off the playing field. Instructional themes vary, from conflict resolution to followership and risk. Through the Brush It Off mistake ritual, daily Red Shirt Awards and Appreciations, and hilarious Pompines, student-athletes also learn the value of intentional rituals and traditions in building strong, aligned cultures. The most significant change in my life after Sports Challenge is my attitude toward myself. 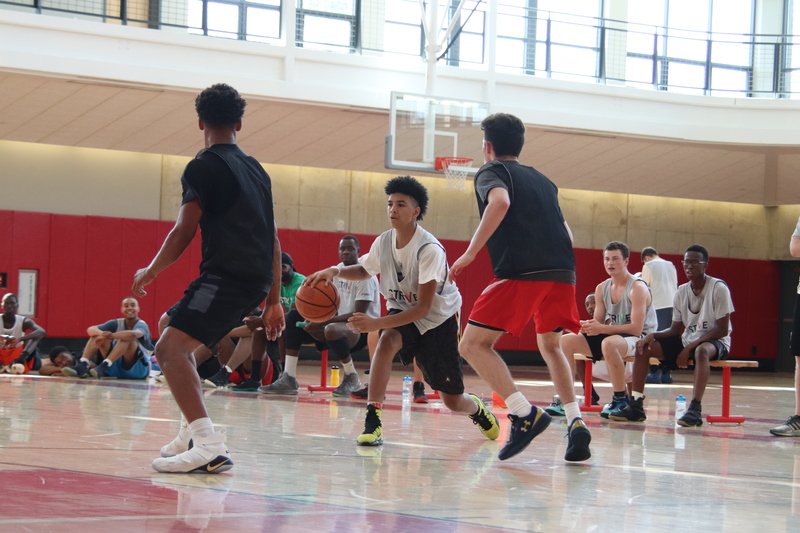 At Sports Challenge we celebrate diversity, cultivating a group of student-athletes from a variety of backgrounds and locations across the U.S. Learning to work with different people is a key feature of the program. Students share every part of every day with people who may be very different from themselves — for many students, this is a new experience. We offer a robust scholarship program so that all athletes who are accepted can come Strive with us. ... the first one in an urban surrounding like this to actually go to a college like William and Mary. Location: Haverford College in Haverford, Pennsylvania. We accept applications to Sports Challenge on a rolling basis, until all spots are filled. If you are a coach who would like to nominate a student athlete(s), please fill out the Nomination Form. Once your application has been submitted, our admissions committee will review applicants and award interviews to selected student athletes. A $200 Merit Scholarship will be awarded to any student-athlete who applies Early Decision. Deposit: $500/nonrefundable; due within two weeks of acceptance to reserve your place. Cancellation policy: Due to the contractual agreements and payment schedule of the institutions, resources and people who come together to create Sports Challenge, we are unable to offer any refunds for cancellations of any kind received within 30 days of the start date of the program. Questions about our Financial Assistance Program? Please contact Nora Reynolds at nora@striveleadership.org. 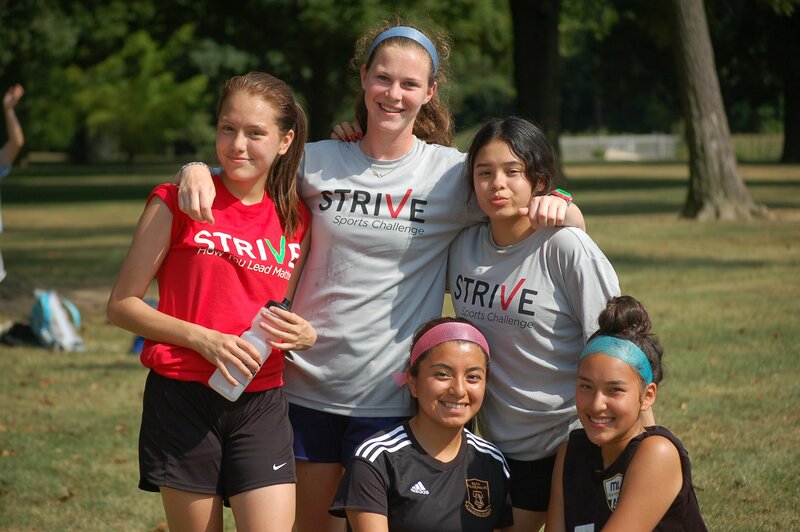 From the moment athletes get off the bus at Sports Challenge, they are immersed in the rigorous, motivating culture of Strive. The program is demanding and supportive — driving athletes to improve their game on and off the field. They take risks in a safe environment. They have the chance to fail hard and then to brush off and learn from failure. This balance creates lasting, long-term growth in both athletic performance and individual development. At Sports Challenge the coaches and staff change lives. They’re athletic professionals and college-level athletes who are so dedicated to the program that they take personal vacation time to build the Strive community and nurture young leaders. Coaches immerse themselves as mentors and teachers in all aspects of the student-athlete’s experience — eating in the dining hall, hanging out during breaks, building individual relationships with student-athletes, and delivering high-impact training on and off the field. Our coaches are character-driven leaders, and they’re drawn to Sports Challenge for its strong, positive, high-energy culture. 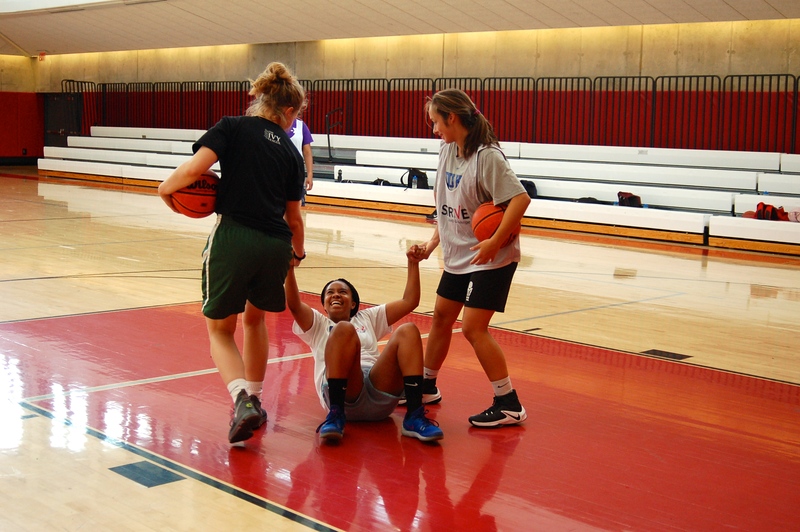 At Sports Challenge the coaches, just like the student-athletes, can be their best selves. Sports Challenge gave me a safe place where I could process my past year, build lasting friendships and excel. 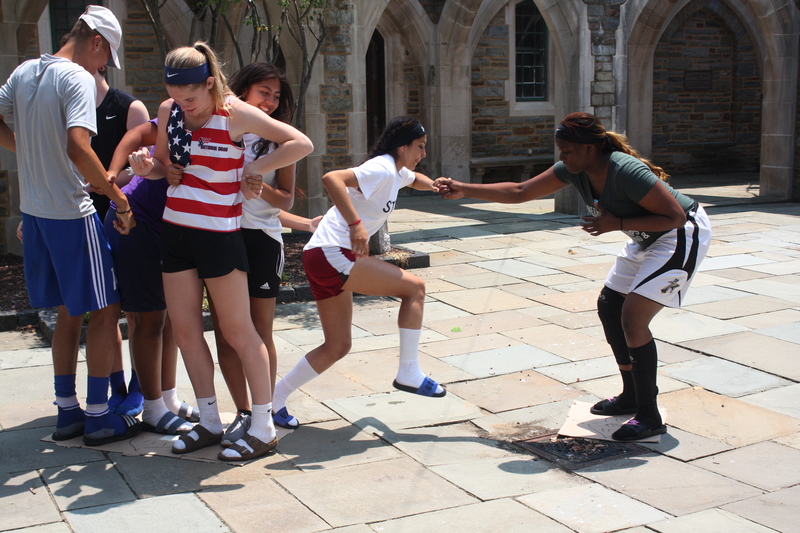 Sports Challenge was one of the essential programs that actually allowed me to come to Georgetown University. Coaching at the summer academy has impacted my life in more ways than I can explain.